Should eLearning Courses be Informative or Interactive or Both? It is an exciting part in the world of eLearning which is full of digital trends, innovative ideas, learning techniques to make learners engaged, motivated, and stay connected with the courses. Do you want to implement custom eLearning in your organization? This blog will provide you the best practices for custom eLearning development that fits your organization’s culture and context! Adobe Captivate is one of the leading authoring tools to develop rapid e-learning courses with its unique features. In its recent update, Adobe Captivate 2019, it has created an exceptional achievement in its arena. In this blog, we are going to review Virtual Reality feature in Adobe Captivate 2019. What is VR, AR & 360 Degree Video and How Do They Differ? 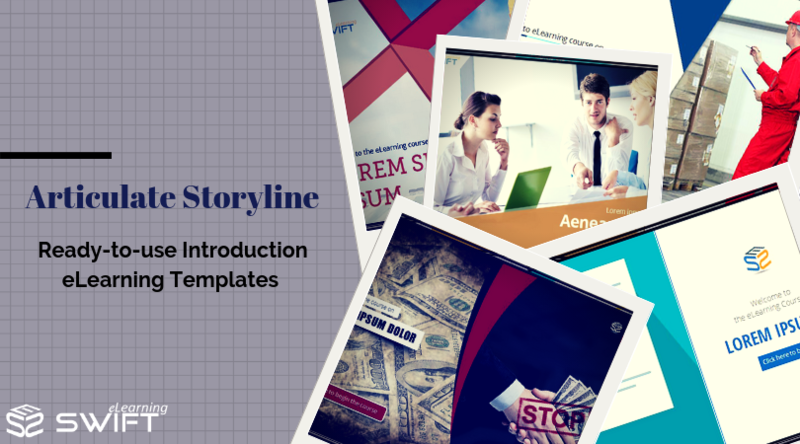 Articulate Storyline 360 introduced a modern player which can be customized as per your course needs with a modern look by adjusting the player theme, accent color, adjusting the font, etc. The modern player appearances same on all the devices. searching relevant keywords or text. Exporting and importing the eLearning content for localization which has been made easy with Adobe Captivate 2017 authoring tool. We would like to share the brief procedure in detail along with reference images. Here is the step by step process to exporting a project into Microsoft Word document for translating. Here comes two cool features in Articulate Rise – Track completion with a Storyline Block and Custom fonts.